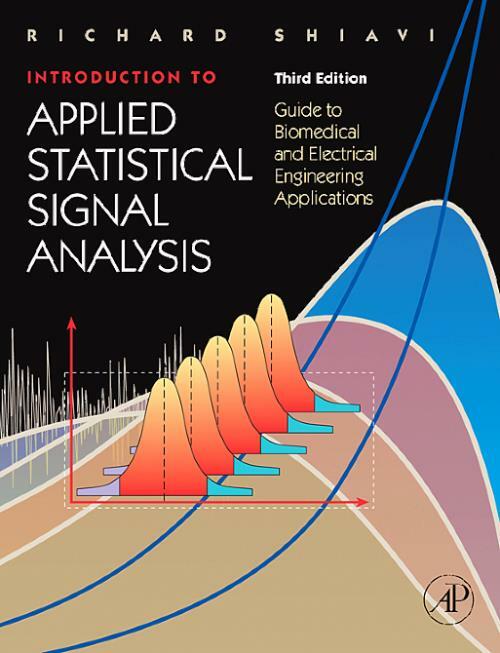 Introduction to Applied Statistical Signal Analysis, Third Edition, is designed for the experienced individual with a basic background in mathematics, science, and computer. With this predisposed knowledge, the reader will coast through the practical introduction and move on to signal analysis techniques, commonly used in a broad range of engineering areas such as biomedical engineering, communications, geophysics, and speech. Topics presented include mathematical bases, requirements for estimation, and detailed quantitative examples for implementing techniques for classical signal analysis. This book includes over one hundred worked problems and real world applications. Many of the examples and exercises use measured signals, most of which are from the biomedical domain. The presentation style is designed for the upper level undergraduate or graduate student who needs a theoretical introduction to the basic principles of statistical modeling and the knowledge to implement them practically. Includes over one hundred worked problems and real world applications. Many of the examples and exercises in the book use measured signals, many from the biomedical domain. Richard Shiavi is Professor of Biomedical Engineering and Professor of Electrical Engineering, actively engaged in teaching and research at Vanderbilt University and the Veterans Administration Medical Center. His main professional interests are in signal processing and main research interests are in bioelectric signal processing and signal measurement. Dr. Shiavi has been an active member of Institute of Electrical and Electronic Engineers (IEEE) and the IEEE Engineering in Medicine and Biology Society (EMBS) and is presently an Associate Editor for the Transactions on Biomedical Engineering. He is also an active member and past President of the International Society of Electrophysiology and Kinesiology.